B Vitamins are crucial for good health for so many reasons! 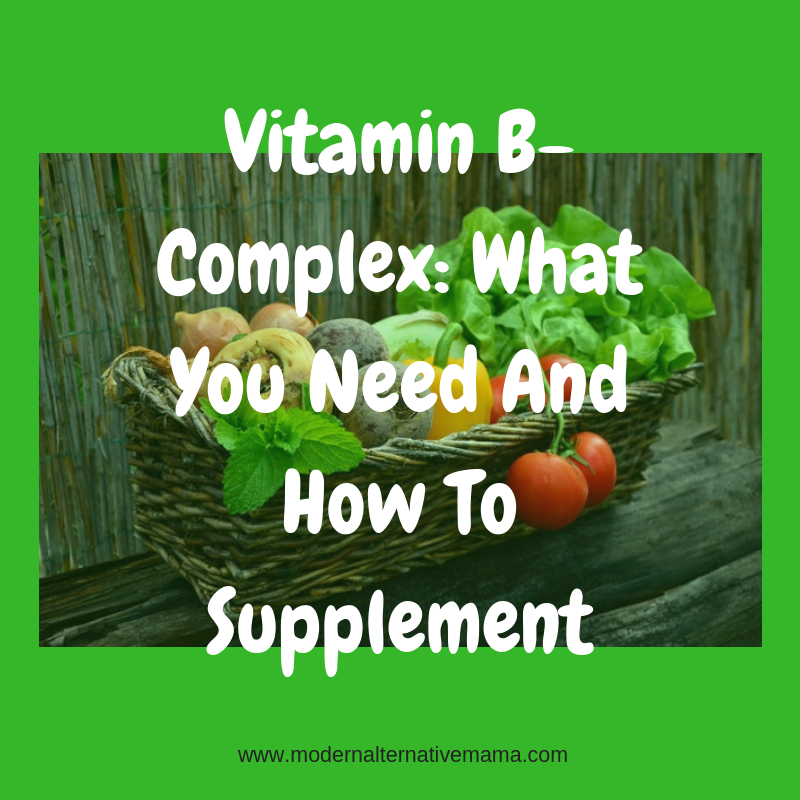 But what is Vitamin B-Complex, why does your body need it, how can you get it from food, or should you use a supplement? Let us explore! The B family of vitamins are best taken together since they work synergistically with each other for optimal absorption to get the maximum benefit. This is why there are supplements on the market containing all of them together, called Vitamin B-Complex. B Vitamins are essential for many functions of the human body to go smoothly. Most notably, getting optimal B-Complex is essential for brain function since B Vitamins are responsible for the proper firing of the nervous system, cell health, and energy levels. They are also partially responsible for the healthy functioning of our hormonal system and cholesterol production; which will lead to better cardiovascular health, muscle tone, and a healthy body weight. Becoming depleted in B Vitamins is very easy! B Vitamins can be depleted from our bodies in many different ways. If we have inadequate intake B Vitamins from eating a diet of low quality food we will become deficient. This is because most of the food grown conventionally isn’t properly fertilized to boost the plant’s nutrients to optimal levels. Organic produce is much more likely to contain a wider array of essential vitamins and minerals. Stress is a big factor in whether or not we have adequate B Vitamins in our system. Stress uses up our stores of B Vitamins more quickly than a non- stressed state and that can make it hard for our body to replenish our stores from the foods we’re eating. Our unique epigenetic makeup can change how our body uses, stores, and absorbs B Vitamins. This can mean that two people eating the same diet sharing similar lifestyles could utilize this set of vitamins in vastly different ways. It is important to be aware of our unique genetic make-up when looking at correcting imbalances because what one person needs another may not. Hormonal imbalances can also change the way someone’s body uses, stores, and absorbs B Vitamins. A person with poor thyroid function or adrenal fatigue will use more B Vitamins than someone with a normally functioning thyroid or adrenal glands. Each of the B Vitamins is needed for different reasons in people with abnormal thyroid function. Thiamine is needed for people with overactive thyroid, riboflavin can suppress thyroid function, niacin is essential for keeping the body’s endocrine glands functioning smoothly, and B12 often cannot be absorbed by people with hormone imbalances necessitating the use of injectable B12 supplements for these people. If you’re looking to safeguard yourself against a Vitamin B-Complex deficiency it’s a good idea to consume foods that are known to rich in B Vitamins. If you are eating a whole foods plant-based diet it will be easy to eat lots of these foods each day. People who are vegan may need to supplement with an oral B12 supplement in order to keep their levels in a healthy range since B12 can only be found in animal products. But as long as these people are mindful of that it should be no issue to use a supplemental form instead of consuming animal products. In an ideal world, we would all be healthy and our food supply would provide optimal vitamins and minerals for our bodies, but we all know that that world just doesn’t exist. That being the case, many people could benefit from taking a supplement containing B Vitamins. And the easy way to get all of them in the right ratio to work synergistically is to take a Vitamin B-Complex supplement. But which supplements are good and which are not so good? The supplement industry doesn’t create products that are all of the best quality so you have to be choosy. 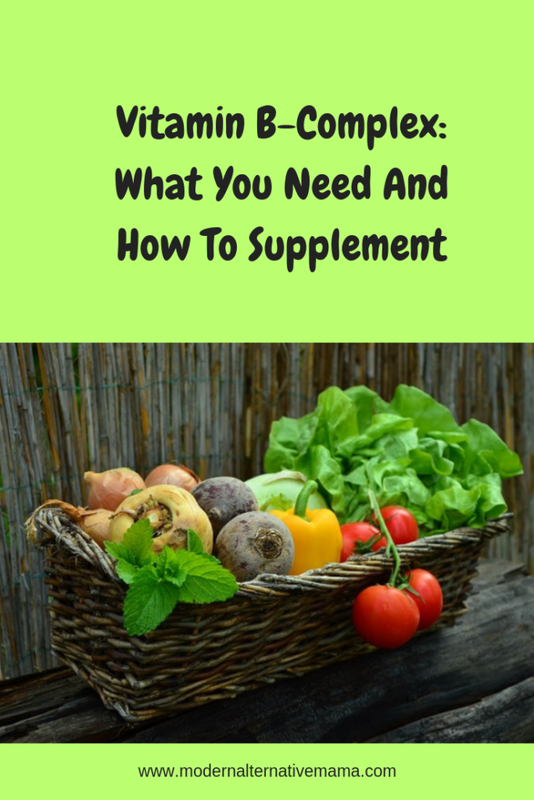 It’s important to look for a B-Complex supplement that contains folate and not folic acid. Folic acid is the man-made version of folate and can be toxic for some people depending on their unique epigenetics, especially for those with a MTHFR gene mutation. Another key thing to look for is a good source of B12. Most people’s intestinal health is so poor that they cannot absorb the B12 in capsules taken by mouth. There are two other options for these people; to take it in a dissolvable pill placed under the tongue, or to have the vitamin injected in the form of a B12 injection which can be done at your natural health practitioner’s office for a very reasonable fee. As with any supplement, you want to make sure that the one you’re taking doesn’t contain any additives or preservatives that are unnecessary to be in the capsule. Generally speaking, the best supplements will be found at your natural health practitioner’s office or in high-quality supplement stores. Be sure to steer clear of the supplement aisle in your grocery store! Do you suffer from any conditions that make it hard for your body to store adequate B Vitamins? Have you found that your health improved after beginning a regime of taking a Vitamin B-Complex supplement?